【汪咪博士】關愛貓狗從口腔腸胃消化道開始,植物酵素可延長寵物壽命 | Your pets' healthcare experts. In modern society, pet foods are readily available, and there are a glittering array of pet food formulas. Regardless of whether they are capable of maintaining pet health, the existing common problem is the lack of enzymes. Lack of enzyme in pets will lead to difficult digestion of food in the stomach and intestine, hence causing excessive multiplication of harmful bacteria and ultimately many unsound body reactions and diseases. Compounded with the fact that most pet owners often neglect to maintain a healthy oral environment for their dogs and cats, if no timely oral cleaning is conducted after eating, it will produce an acid environment, which is likely to become the hotbed for growth of bacteria. Thus what we often say, diseases come in at the mouth. Dr. Wa-Mi R&D team have teamed up with biotech experts and dedicated the past several years to discover means to improve the oral and internal environment. From the results of experiments and researches, we found that “natural enzymes” and “acid-base balance” are crucial for pets’ internal environmental protection. The presence and maintaining a healthy amount of enzymes is positively correlated to the pet’s lifespan, and you may never realize that enzyme plays an important role in pet’s health. Therefore, our R&D team set about developing natural enzymes, discovering that there are many natural fruits with high enzyme content. After years of efforts, we have successfully extracted the hydrolytic micro-molecule peptide super-enzyme free of protein from those fruits using the latest nanotechnology. 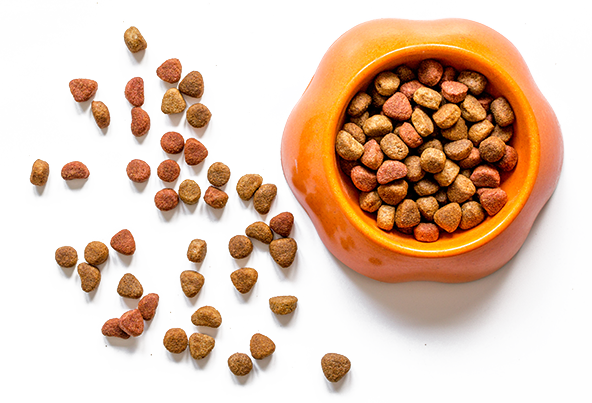 Since micro-molecule peptides can be quickly absorbed and directly employed, which can also reduce the workload of the digestive system, so we apply it to the internal environment protection and oral health care products for dogs and cats. These two latest biotech pet healthcare products, namely Digestive Care Drops for Pets and Oral Care Spray for Pets, contain rich plant enzyme and various natural herbal extracts including citrus bioflavonoids, grapefruit seed extract, apple polyphenol, yucca schidigera extract, golden mushroom extract, maltitol, licorice extract, and balm mint extract. They promise to prevent the growth of dental plaque and calculus, help adjust the internal environment of dogs and cats, strengthen disease resistance, purify the blood, improve the body, and promote digestion. Besides, they can also eliminate internal wastes, and remove internal acid metabolic debris, thereby making the blood weakly alkaline. Maintaining the balance of bacteria in the intestines to protect the internal environment, effectively inhibiting the formation of pathogenic bacteria in the oral and intestinal digestive systems, efficiently decomposing the oral odor of dogs and cats and their excreta, and keeping the best state of acid-base balance in the internal and oral environments of pets. 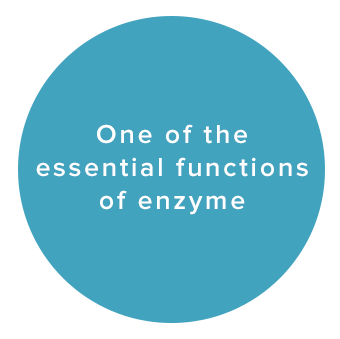 One of the essential functions of enzyme lies in removing the wastes accumulated in the affected tissues and the bloodstream, thereby restoring their normal function. In addition, the enzyme neutralizes the pH of the blood to be the healthy weak alkaline, by decomposing the cholesterol that causes acidic blood and keeping blood circulation unimpeded. The natural bioflavonoid is widely recognized as the world's most potent antioxidant whose antioxidant capacity is 50 times that of vitamin E and 20 times that of vitamin C. More importantly, its small molecular structure, high water-solubility, aids the easy absorption by the body, and there is no accumulation effect. Accordingly, it can be used to help resist viruses, carcinogens, and allergens and consequently prevent heart diseases. Furthermore, its antioxidant effect can inhibit the oxidation of low-density lipoprotein (LDL) cholesterol, thereby preventing the heart diseases caused by atherosclerosis and contributing to the prevention and treatment of gum bleeding for dogs and cats to improve their dental health. Dr. Wa-Mi pet healthcare products are made entirely from natural plants which have passed the inspections of International Standards Certification Laboratory. Our product is certificated without any harmful materials, heavy metal and microorganism. And our product is developed for against gingivitis, gumboil, abscess, the most common pathogenic bacteria around the tooth and root diseases . According to the experiments, the product can inhabit 99.9% of bacteria which is in line with the food-grade international standards established in EU, US, Japan, China, and Taiwan, etc. It’s fresh, moderate in taste and pets can swallow it directly without any harms. In addition to the healthcare concerns of their pets, the unfavorable odor brought about by pets to the home environment, and the cross infection between owner and their pets due to the bacteria generated from the latter are also always a significant burden for pet owners. Dr. Wa-Mi has long devoted to helping pet owners create a harmonious home environment. With that purpose in mind, Dr. Wa-Mi produced two products, Body Antibacterial Deodorant Spray for Pets and Environment Antibacterial Deodorant Spray for Pets. 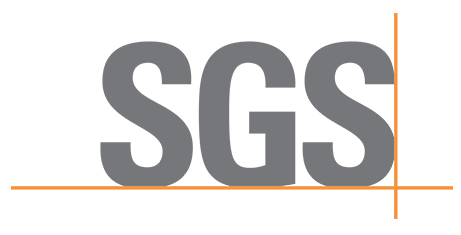 Used alongside as supplementary to the two essential products, Digestive Care Drops for Pets and Oral Care Spray for Pets, Dr. Wa-Mi has constructed a complete healthcare network. Such a system can completely solve the problems of health care, deodorization and bacteria resistance involving oral cavity, gastrointestinal digestive tract, surface skin, and environmental cleaning, and various responsibilities associated with owning a pet. Dr. Wa-Mi wants to help pet owners achieve the all-around responsibility in a safest, most convenient, and most effective way. Strengthening and protection are the first lines of defense for pet health. Dr. Wa-Mi provides the excellent and practical solution to these problems.